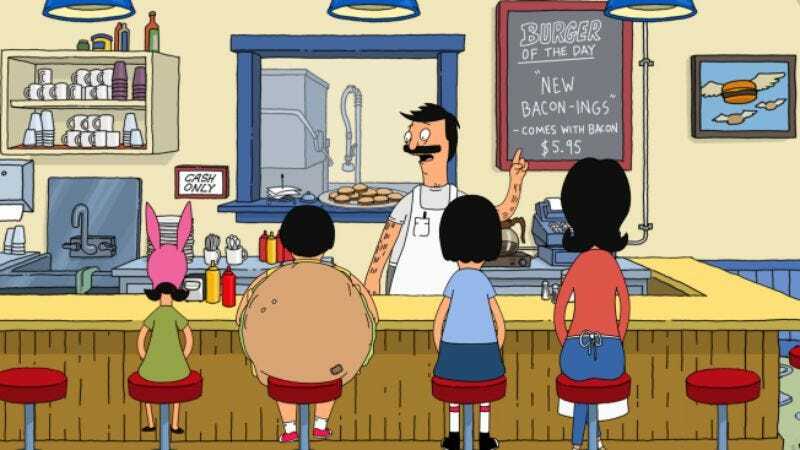 What Bob's does have going for it is a recent Emmy nomination for Outstanding Animated Program, plus an impressive roster of upcoming guest stars that includes Nick Offerman and Megan Mullally as a couple of married pot farmers; Zach Galifianakis as a department store window dresser in love with a mannequin; Jeffrey Tambor as a crazy cruise ship captain; and returning players Aziz Ansari, Kevin Kline, Bill Hader, and Sarah and Laura Silverman. Also, that previously reported Archer crossover. Also, Hamm-toilet.